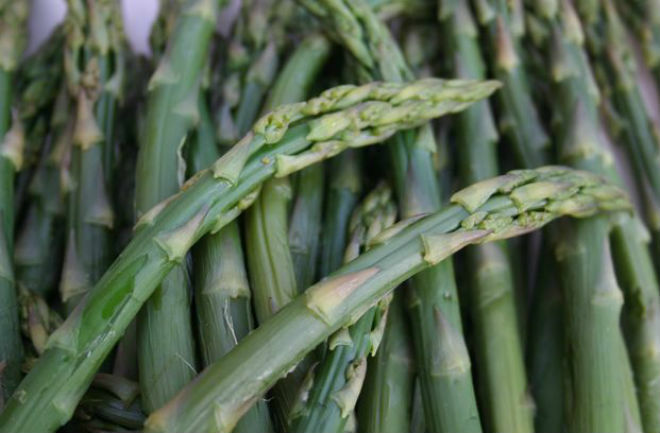 Asparagus (Asparagus officinalis): It is a spring vegetable a flowering perennial species. The vegetable is native to most of Europe, northern Africa, as well as western Asia. Asparagus originates in maritime habitats and thus tends to do quite well in saline soils. This vegetable crop will grow for 20 years or more in the same spot once planted. The plant does best in full sun, but can tolerate some shade. Standing water will quickly rot asparagus roots, thus the plant requires light, well drained soil. Some start asparagus from crowns that are one year old to get a head start over the seed grown plant.